These musical instruments are made of premium quality wood mounted with iron rod these musical congo instruments provide clear tuned sounds. With cost competitive price and best quality these instruments are well appreciated by the clients and hired in an alarming rate. Ideal Triple Congo drums are being offered by us at industry leading prices. These consist of three wooden shells, which are erected on a sturdy ring stand. The congo drums are beaten by the hand and can be heard in the background of Latin, Cuban, jazz, salsa, reggae and popular music. 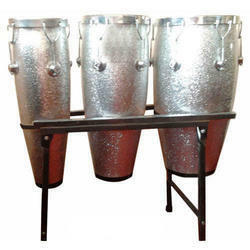 Ideal Congo drums are being offered by us at industry leading prices. These consist of three wooden shells, which are erected on a sturdy ring stand. 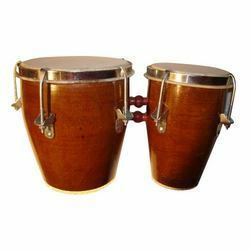 The congo drums are beaten by the hand and can be heard in the background of Latin, Cuban, jazz, salsa, reggae and popular music.